The bank holiday weekend has come and gone and some of the biggest names in electronic music stopped over in Ireland to join us countrywide. With BD festival out of the way, here are the best events to head to this weekend for those who have a little bit of money in their pockets and those who haven’t a red cent. 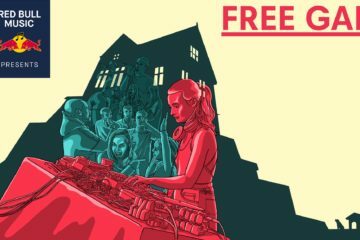 The bass house DJ hailing from Birmingham is returning to Dublin and bringing her bass orientated music influenced from her hometown to District 8 this Friday for a show including Friend Within and Rob Freeman. 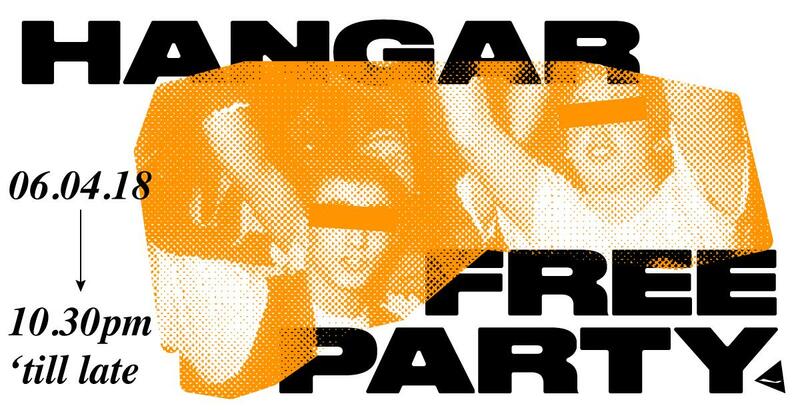 After the busy weekend that was last weekend, Hangar are providing those of you with broken wallets a safe haven with some of the city’s best young selectors across techno, house and disco manning their warehouse and discobar for what will be an exquisite night of alternate and heavy hitting selections. The main room sees new comers Josh Moody and James Cherry opening things up for the heavier hitters in Better Living’s Sean Reddy & Karl Taafe, with VSN’s redbullschuh finishing things up. 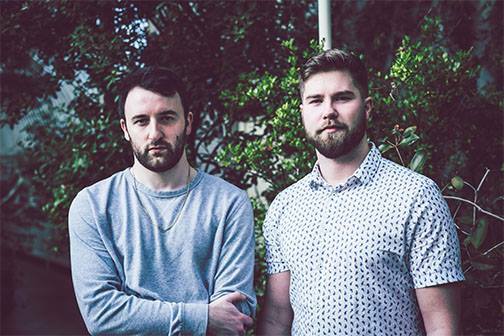 The bar will see more soothing tones with Hangar debutant Louis Ashe Brown opening things up for the more seasoned likes of Eric Brown and Nicholas McIntyre. Doubleu DJs Adamant and Niall Healy will be gracing Ballinrobe, Mayo this Friday night at The Valk Nightclub on the opening night of Vyb. Doubleu DJs are bringing a fresh new perspective to house music in Ireland and globally and have gained a ubiquitous following by touring throughout the countries club scene. 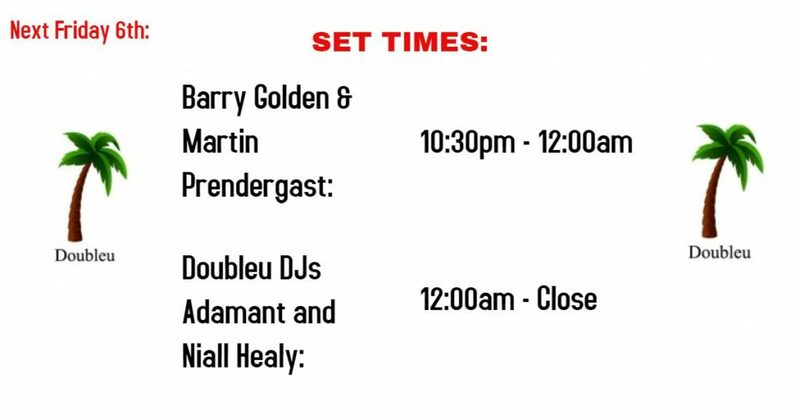 Joining them on the night will be resident DJs of Electric Garden and Theatre, Barry Golden and Martin Prendergast. 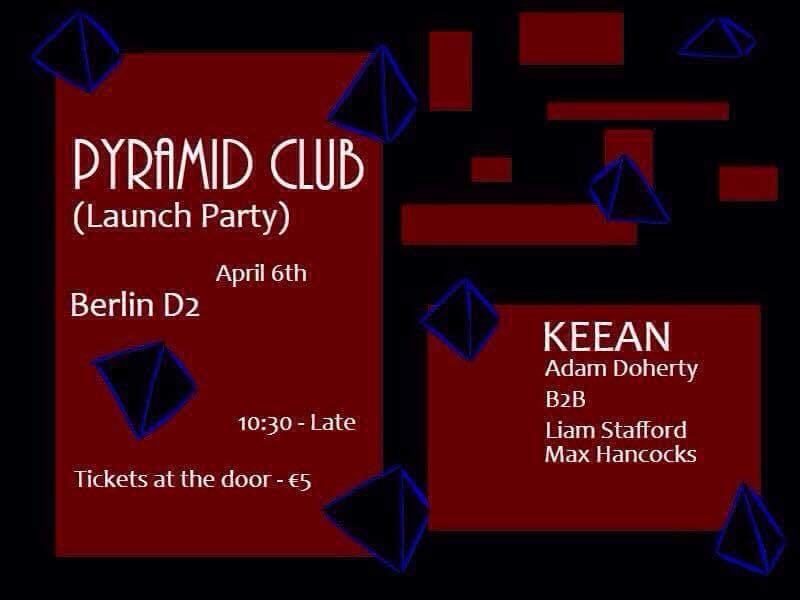 Head down to Berlin D2’s basement for the opening party of Pyramid Club and their resident DJs throwing out techno, house and disco classics all night. KEEAN, Adam Doherty B2B Liam Stafford and Max Hancocks will be playing on the night. 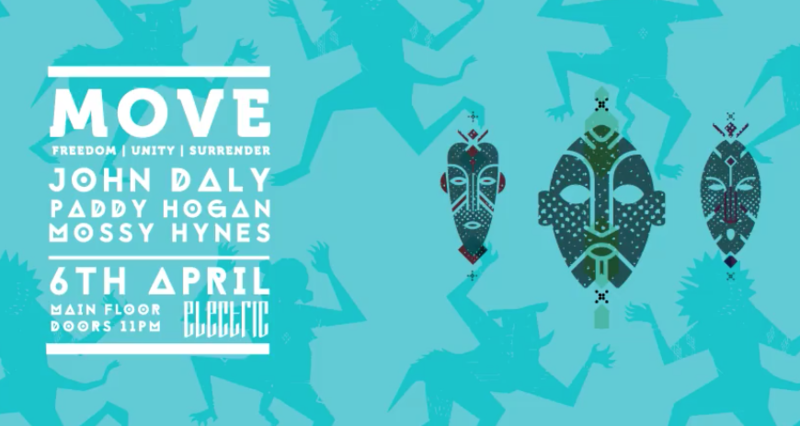 Irish legend John Daly continues his residency in Electric with the help of local powerhouses Paddy Hogan and Mossy Hynes for what has become one of the country’s most eclectic electronic music nights, taking us right from house through to techno over a 4 hour journey. Adult store are throwing a free party this Friday to show thanks for the support they’ve received over the last while. 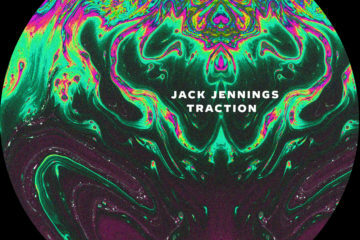 It’s free and happening all night long in the basement from 10pm until late. If you didn’t catch the duo at BD or at Hangar last weekend, head down for an act known for their atmospheric house and disco performances. Join Jika Jika! 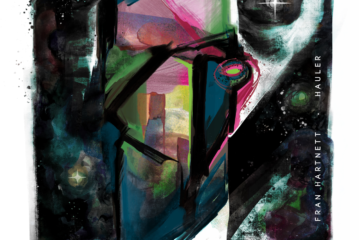 long time resident Stephen Porter for an all night vinyl set where he delves deep into his own record collection. Stephen has shared the stage with some globally known DJs and as a promoter has seen the dance scene in Derry rise to unseen heights. 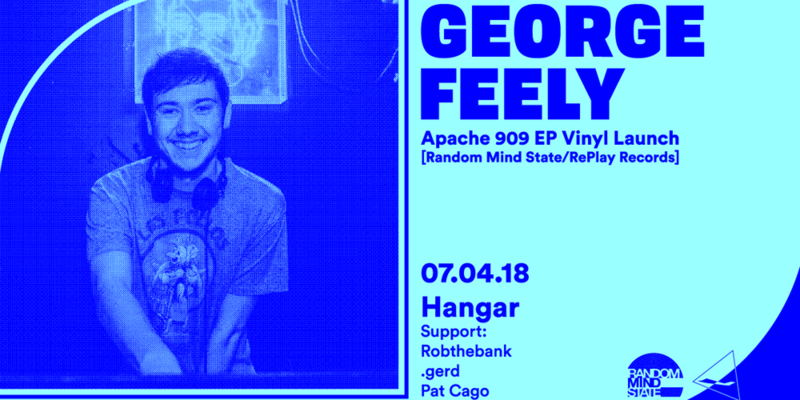 The Building Society and Hangar present George Feely’s Apache 909 ep launch party this Saturday night after his ep was picked up as the first release under the Random Edits label based in Germany. George Feely is one of the most prominent DJs on the Irish scene recently and you can always expect a night full of disco edits, funk house and good times. 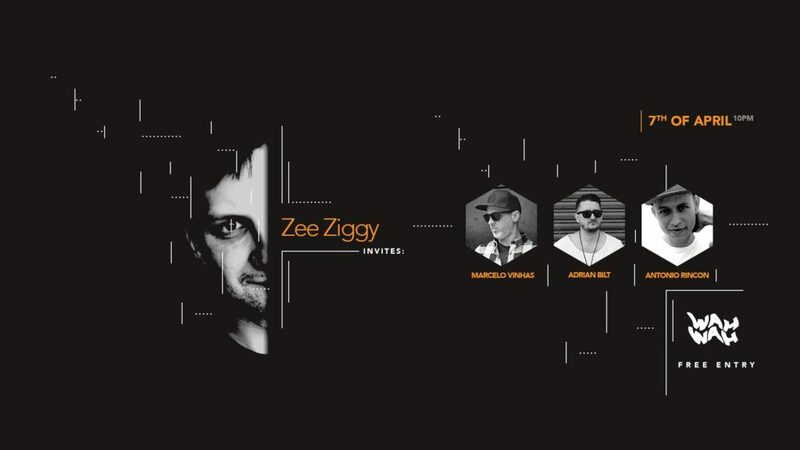 Zee Ziggy invites Marcelo Vinhas, Adrian Bilt and Antonio Rincon to his monthly residence at Wah Wah Club this Saturday. 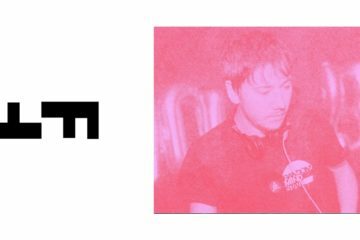 Head down for a night of minimal and deep techno with tech house in the basement of The South William. Entry is free. 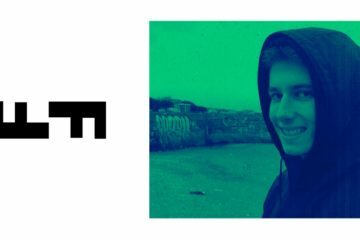 Operator are back for another night down at 39/40 with a line up of Ingen, a producer and live act from Scotland, known for his ‘improvised hardware jam’ sets. 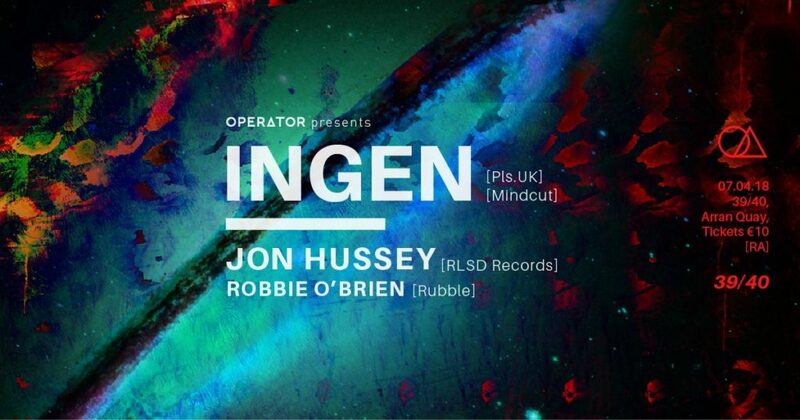 Joining him on the night is Jon Hussey, a pioneer of the Irish techno scene since the 90s and Robbie O’ Brien. 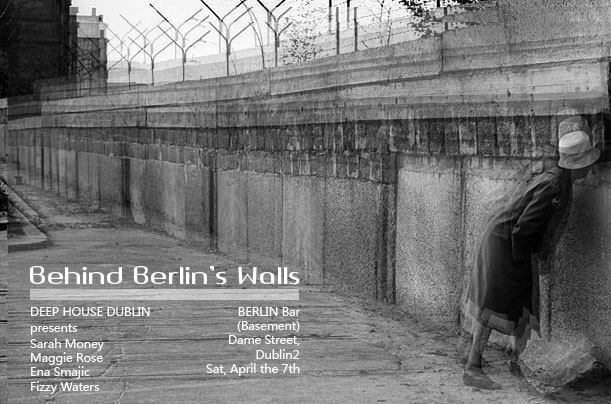 Deep House Dublin underground series continues with Sarah Mooney, Maggie Rose and Ena Smajic in the sweaty basement of Berlin – d2, with support from DHD DJs, Kamil and Vik under the new name Fizzy Waters. Head down for free entry before 11pm and €5 after that. Telephones are back to normal after their last night on Paddy’s weekend in Tengu. 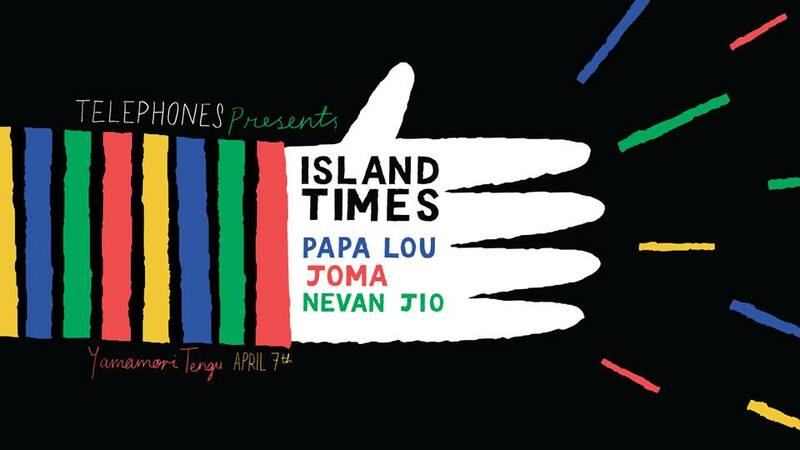 For their April edition they’re having a one room, one vibe party with Island Times from Galway starting off the night and others Nevan Jio, Papa Lou and JOMA joining him on the night too all playing everything from disco, soul and afro on the night.